Is the Platform for State Appointed and Recognised, Privately Funded Universities and Colleges in the Netherlands. – in Dutch : ‘De Nederlandse Raad voor Training en Opleiding (www.nrto.nl )’ , which Wittenborg is a member of. Nuffic stands for Netherlands Universities Foundation for International Cooperation. It is the Netherlands Organization for International Cooperation in Higher Education and Research ( www.nuffic.nl , which Wittenborg is a member of. NVAO (in Dutch: Nederlands-Vlaamse Accreditatieorganisatie) is the Accreditation Organisation of the Netherlands and Flanders. The organisation was established by international treaty and it ensures the quality of higher education in the Netherlands and Flanders. www.nvao.net Wittenborg's Business Administration programme is accredited by the NVAO. 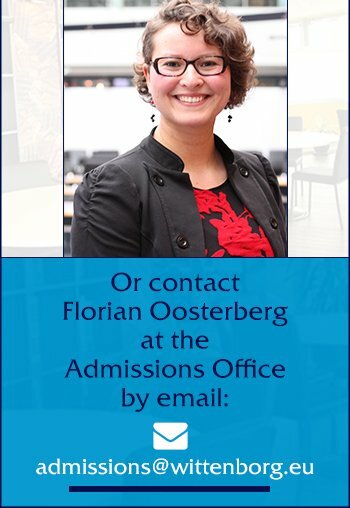 Wittenborg is a signatory to the Netherlands Code of Conduct for International Students. A copy of the code can be found here. Wittenborg has a covenant with the IND governing the entry visas of non-European students and their residence permits during their stay in the Netherlands.